Harvard College will implement the sanctions on student membership in unrecognized single-gender social organizations (USGSOs: the final clubs, fraternities, and sororities) first announced by President Drew Faust and dean of Harvard College Rakesh Khurana in May 2016. The news came at the beginning of the Faculty of Arts and Sciences (FAS) meeting this afternoon in University Hall, when Faust read a statement from herself and William F. Lee, senior fellow of the Harvard Corporation. The sanction measures (outlined in Khurana’s letter to Faust here) mean that students who choose to join a USGSO will not be permitted to hold a position of leadership in recognized student groups and organizations (numbering several hundred); nor to serve as the captain of an athletic team; nor to receive the required endorsement from the dean’s office when applying for certain competitive fellowships, such as Rhodes and Marshall scholarships, which require that institutional endorsement. Their hope is that this policy “will be a powerful inducement to change.” The Corporation will revisit its decision in five years to see whether the desired changes have been effected. The sanctions have nominally applied to the current freshmen, but have not taken effect as a practical matter: implementation was suspended this academic year while the FAS undertook protracted, heated discussion about the measures; and students typically do not join such social organizations until they are sophomores. In announcing their decision today, Faust and Lee are following through on an action they have signaled consistently; during a recent interview, for example, Lee said the issues that had been raised were “less about governance than about getting all the competing interests on campus together to solve the problem,” and emphasized his view that USGSOs represented a problem that had to be addressed. There were sincerely held, differing views about how to address those problems, he said—and when such competing perspectives arose, they had to be worked out through a process of creative conflict and tension to fully air student, faculty, and alumni positions. That has now taken place, he said, making the time ripe to address the underlying problem: “That’s what the president, [FAS] Dean [Michael] Smith, and …Khurana will do.” Today’s announcement, of course, means that the Corporation (of which Faust is a member) is acting directly alongside the president in making the decision. The College’s argument for taking action against the final clubs, fraternities, and sororities is twofold. First, gender-restrictive social organizations are contrary to longstanding policies against discrimination. 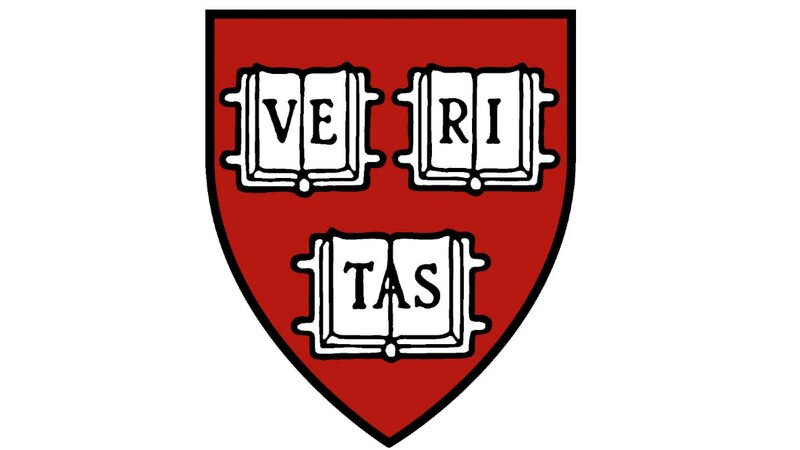 And second, the organizations (particularly the long-established male final clubs, whose Harvard Square facilities, and funds, have made them important social venues) have an outsized, and negative, effect on the lives of College students—varyingly described in terms of facilitating impermissible behavior (sexual assault or harassment, underage or excessive drinking), or serving as a locus of socioeconomic exclusion. In that context, the Corporation voted to adopt the May 2016 sanction measures. Its reasoning appears to reflect the foundational conclusion, reflecting Lee’s observation, that the USGSOs are at odds with the sort of residential, diverse community the College has become, and the fully inclusionary community it aspires to be, and so the University had to take action. In adopting the sanctions (rather than the subsequent proposal that membership in such organizations be prohibited outright), the Corporation nods toward some degree of student agency: an undergraduate can choose to join a sanctioned organization, in turn excluding her- or himself from other leadership positions on campus and consideration for prestigious fellowships. Perhaps, over time, as students vote with their feet, the campus culture will progressively turn against membership, and the USGSOs will perceive it to be in their interest to change their admissions policies and governance to comply with College requirements. In choosing to endorse and implement the sanctions scheme, the Corporation has apparently weighed various institutional issues and the legal ramifications of each. Certainly alumni of some of the final clubs have talked about retaining lawyers to make the case for their continued, independent operation. The legal counsel the Corporation has received is not known, of course; retaining some element of student choice may be important in making the case for the policy, relative to other options. More broadly, alumni who support the USGSOs have made their views known, in person, through correspondence with The Harvard Crimson and this magazine, and, most recently, at the Harvard Alumni Association’s fall meeting. In response, proponents of regulating the USGSOs have maintained that the College and University have the responsibility to attend to the nonacademic needs of students and to define the character of the residential community. By acting as it has today, the Corporation has, in effect, determined that these matters are part of its core fiduciary responsibilities (much like its attention to the institution’s long-term financial health), and has determined to proceed. Its timing is a statement that whatever the outcome of the search for President Faust’s successor, Harvard’s policy is to discourage undergraduate affiliation with USGSOs—a stance that is not contingent on the administration in Massachusetts Hall. Faust’s statement to the faculty this afternoon was to be accompanied by a flurry of communications: from her, disseminating her message with Lee to the FAS community broadly, outside the Faculty Room at University Hall; from Dean Khurana to undergraduates, addressing implementation; and from Katherine O’Dair, dean of students, with further details. Updated December 5, 2017, 6:10 p.m. to incorporate Khurana and O’Dair messages. Today President Faust and the Harvard Corporation announced its decision to affirm the existing 2016 Harvard College policy on unrecognized single-gender social organizations (USGSOs). I write to you now about our way forward. The College will implement the 2016 policy beginning with the Class of 2021, consistent with the recommendations I accepted last March and with the information I sent to incoming freshmen this summer. The Office of Student Life (OSL) will oversee the implementation of this policy. As the OSL begins the process of implementation, they will be guided by President Faust’s letter, the Implementation Committee Report, and the College’s longstanding commitment to inclusion and belonging. The OSL will continue to work with the USGSOs that wish to align themselves with the College’s policies. As we move forward, I recognize that there will be many questions about the new policy. Some questions will have clear answers, while others will not, yet we will work to answer these questions together over the coming months. Changes here at Harvard are occurring against the backdrop of so much division and anger in the United States. Those divisions will not be easily repaired, and the community we create here on campus matters more than ever. I hope when you leave Harvard you will be able to take with you the best parts of this community—how we work together, how we solve our problems, and how we ensure that all students have access to academic and social opportunities—and use them to effect positive change. In the meantime, I look forward to working with you to create a Harvard that we can measure not by our admissions rate or endowment, but by the values we embrace, what we create, and who we include. As Dean Khurana stated in his letter to the community, the Office of Student Life (OSL) will oversee the implementation of the unrecognized single-gender social organization (USGSO) policy. As we begin the process of implementation, my office will be guided by President Faust’s letter, the Implementation Committee Report, and the College’s longstanding commitment to inclusion and belonging. We will continue to work with the USGSOs that wish to align themselves with the College’s policies and to provide support to students by providing programs and initiatives to support the student experience across campus. I look forward to working with students throughout the implementation process. The College does not know precisely who belongs to USGSOs. Their memberships are not public, and during the debate over the sanctions policy, estimates of the number of students involved have been advanced from various perspectives. So enforcing any regulatory policy relies on self-reporting (or perhaps reports from other students). Khurana’s committee on implementing the sanctions recommended last March that they be enforced by means of a signed code acknowledging awareness of Harvard’s non-discrimination policy together with a pledge affirming “compliance with that policy” for any student who takes a leadership position in a student organization, applies for a sponsored grant or fellowship, or becomes a varsity athletic team captain. Violations of the policy, which prohibit such students from membership in a USGSO for a full year before and a year after taking advantage of one of these “privileges,” would be considered a violation of the honor code and subject to the same disciplinary procedures and punishments that now govern academic cheating, including referral to a group of faculty, students, and administrators known as the Honor Council. Some faculty members who advocated against the sanctions or the proposed ban on USGSO membership (many of whom, it should be noted, are on record as opposing USGSOs, and/or improper behavior conducted on their premises or under their auspices) dislike the oath mechanism, and the conflating of social regulations with governance of academic conduct and regulations. Most of them objected to the constraint on students’ freedom of association. Several of them spoke forcefully about what they saw as the abrogation of faculty members’ governance prerogatives in the promulgation of the sanctions policy—and they will surely object to its implementation by President Faust and the Corporation today. (Read extended accounts of the faculty debates here and here.) Others, as a practical matter, wondered how the College would respond to possible adaptations by the USGSOs themselves: adopting membership policies that appear to be inclusive (whether or not the actual composition of the member cohort changes); or granting undergraduates some sort of affiliate status, with formal membership vesting after graduation. I do not accept that the Dean should be able to refuse endorsement to a fellowship application for which I serve as an academic reference without notifying me that my student’s application is being refused not for the usual reasons denying endorsement in the past but rather for the new prohibition on club membership. That my recommendation would not be forwarded to overseas scholarship committees on this ground deprives me of the right to have my recommendation treated with intellectual respect, and destroys my ability to foster the intellectual future of a brilliant student. As of today, President Faust and the Corporation have determined to focus on regulating the USGSOs, and embracing the complications of implementing and enforcing the sanctions policy. With that, the intense faculty debate on USGSOs that began during examination period in the spring of 2016 formally comes to an end during reading period in the late fall of 2017. The faculty may move on to addressing other, academic matters (rules on advanced standing, credit for Advanced Placement courses, and undergraduates’ ability to earn master’s degrees were also on the agenda this afternoon). Doing so with a sense of comity and common purpose may take a while longer.